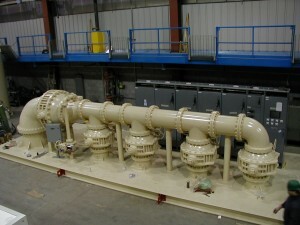 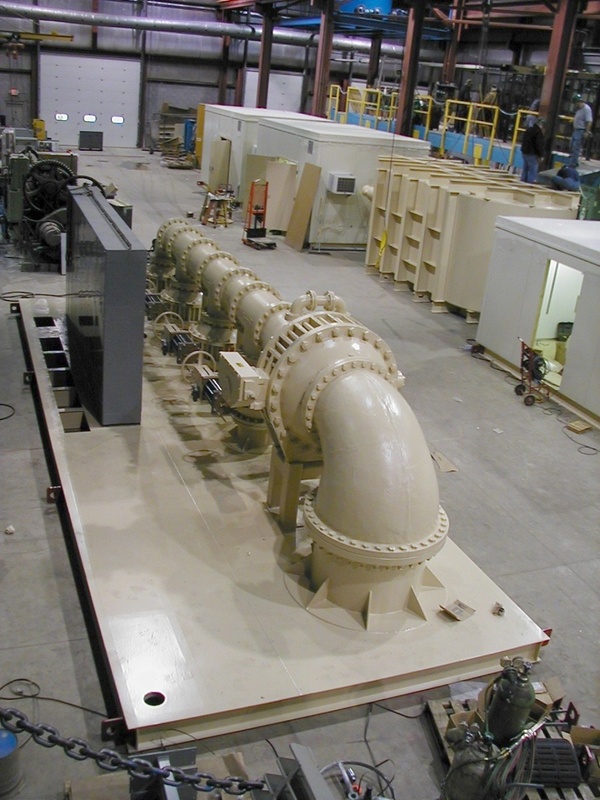 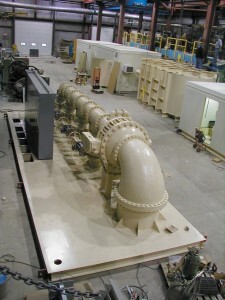 USEMCO Storm Water Pump Stations are custom designed for each project. 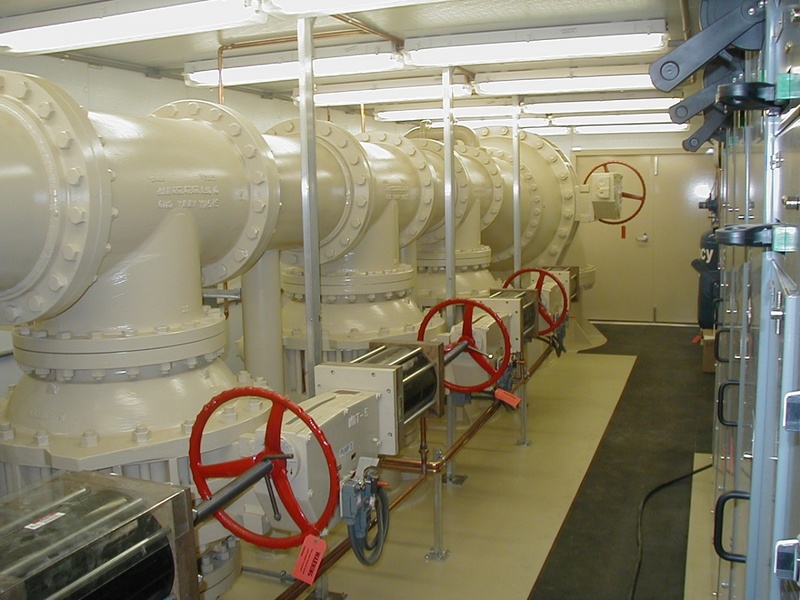 This station for Indiana DOT features Pratt pneumatic valves and 250 HP Fairbanks Morse submersible pumps. 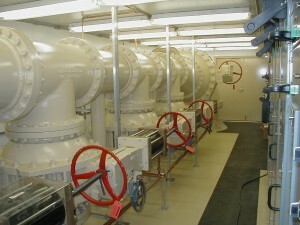 The stations motor control center and VFD’s are by Allen Bradley with a USEMCO’s Sentry pump controller. 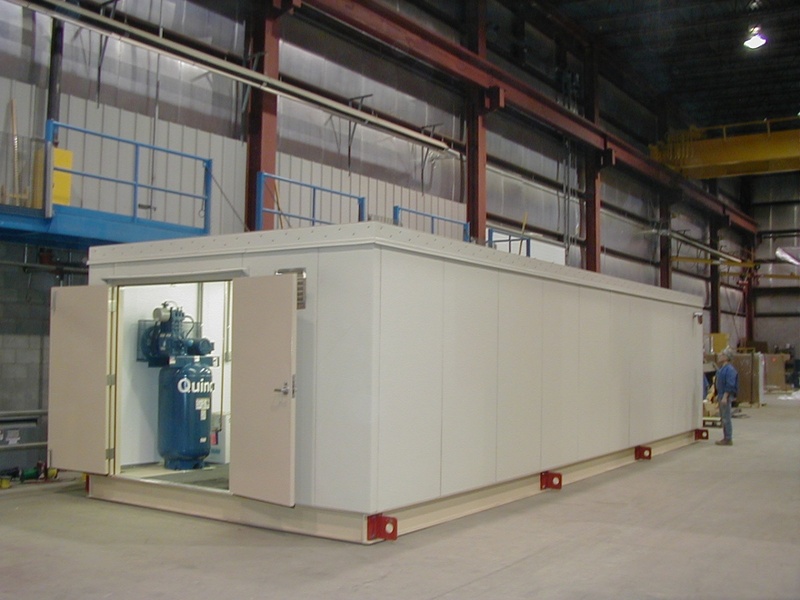 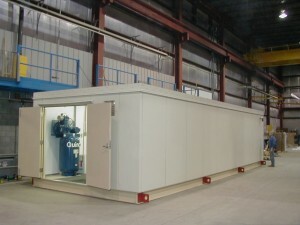 The building is a modular insulated panel system that is available in a variety of finishes.